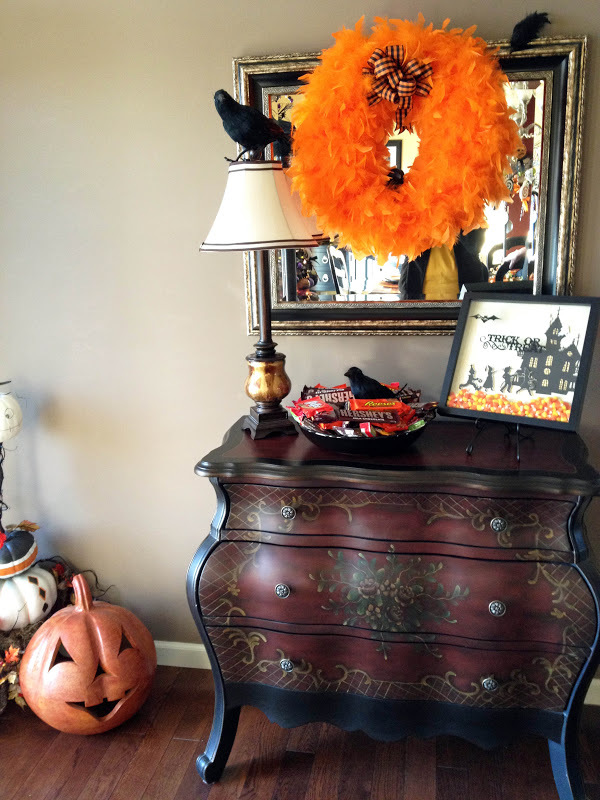 Liz's Paper Loft: It's Halloween All Over Again and a Giveaway! Hi Everyone, happy Wednesday and Happy Halloween! No I haven't lost my mind!! I know Halloween is over, but I wanted to share some pictures with you! A few months ago I received a request to make and sell one of my previous projects, she told me she wasn't very crafty. I've never done this before, however I decided to go ahead and do it. 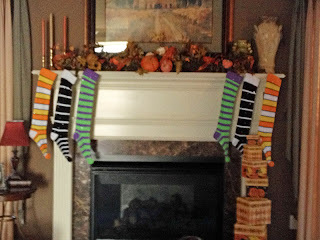 Well last week Linda sent me pictures of her decorated home! I was so blown away I asked her permission to share them with you!! She may not be crafty, but she has AMAZING style and taste!!! Can you see what I made? Yes it's the Trick or Treat Shadow Box! This is one of my most popular posts and my most "pinned" too! 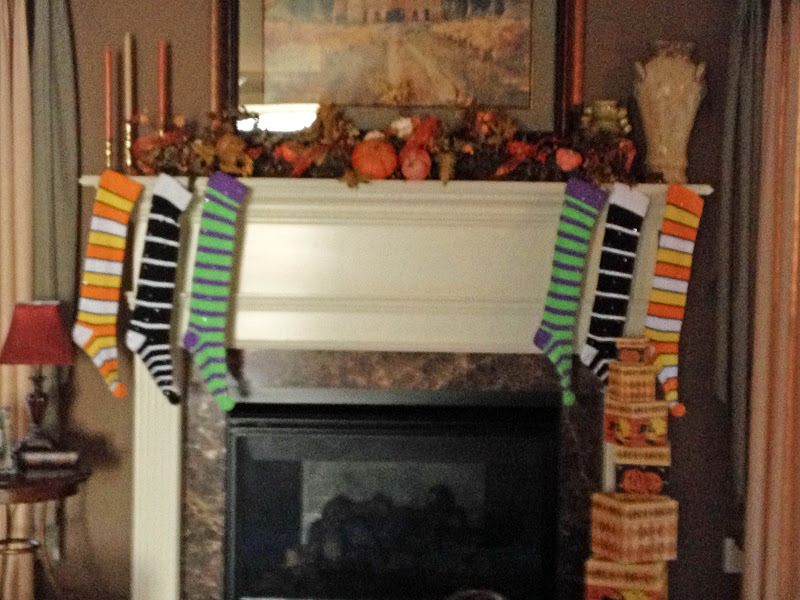 Love the fun hanging stockings! Never would have thought of that for Halloween! Her tree is just a wonderful treat! Oh my goodness I want a skeleton for my table now!!!! Just so know, I won't be making anymore of these shadow boxes to sell. For instructions to create your own click HERE. Thank you Linda for letting me share your beautiful home with my followers! I'll be back tomorrow with a new project! I'm your newest fan on FB! 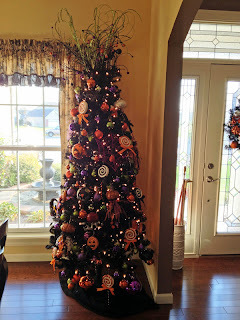 GREAT pics of the Halloween projects - and great ideas. Will definitely use some of them for next year's Halloween. Thanks for sharing! Wow! That is amazing! I think I need Linda decorating my house!!! So much fun! I am a new FB fan! WOW!!! I want to go trick or treating at Linda's House. Amazing. 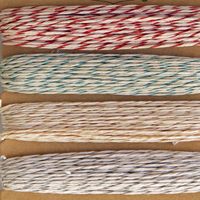 Love that twine, would really put some twinkle in my projects. TFS. This house is fantastic - thanks for sharing! Left a comment and "Liked" you on FB! A little sparkly twine would add some fun to the holiday cards I'll be making! Liked you on FB. You did an amazing job with your decorations. Looking forward to seeing more.... Thanks for sharing and the chance to win!!! I am a FB fan:) I love all the decorations! Wow, what a fun place to have a party! Fabulous as always! OK, I guess since I like you (on Facebook) I should really check out the store! Thanks so much for the chance to win! Love all the pictures. 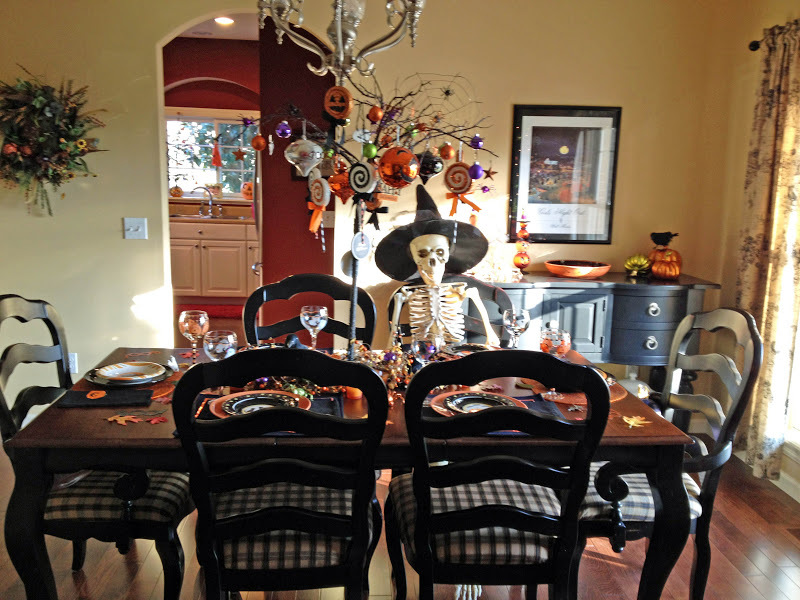 She has an amazing talent for decorating and great taste as well. Thanks for a chance to win.! Liz ~ well to no surpirse to me she LOVED your shadow box at ALL!! It was simply AMAZING!!!! This woman is crafty in my eyes look what she did to her house! WOW!!! I need her to come to mine just not to decorate for the holidays but just her style!! You have a AWESOME style too my sweet friend! !